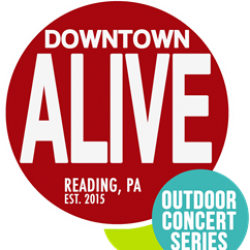 Three regional bands featuring a lively variety of Latino musical styles will be showcased at the Downtown Alive free outdoor concert on September 12 from 5 to 9 p.m. in the 500 block of Penn Street in Reading. As part of the lineup, Reading’s own DJ Chamo King from La Mega radio station will be spinning tunes between sets along with La Mega’s morning show crew, who will be emceeing the event. Los Monstros is a versatile, multi-ethnic combination of musicians who are dedicated to embracing the roots of the Latin/Tropical sound, while also highlighting the fusion of the traditional into more contemporary, popular American, international dance and jazz music styles…and providing a multicultural experience that is appropriate for all ages, genders and ethnicities. In short, there’s a bit of familiarity for everyone. Formed in 2015, the 10-piece PA Mambo Orquesta performs classic salsa dura, swinging contemporary original tunes, and Latin jazz. Their music will surely get you up on your feet and make you want to dance! Notable performances include Festival Latinoamericano 2016, Celebrate Lancaster festival, Rehoboth Beach Bandstand summer concert series, Long’s Park summer music series and most recently the El Gran Combo concert pre-party in Reading. Pancho Bongo Y Su Orquesta is a high-energy classic salsa band consisting of 12 professional musicians. The group was founded in 2014 by percussionist Felix “Pancho Bongo” Alicea Jr. He has performed with several world-renowned artists including Ricky Luis, Frankie Vazquez, Tony Vega, and Choco Orta. In addition to classic salsa, Poncho Bongo musical offerings include merengue and Latin jazz. A special thanks to Reading Musical Foundation for underwriting a portion of this show. For general information about the Downtown Alive concert series, check out the back page of this newsletter. Or go to www.downtownalivereading.com.